Let’s hear it for volume – the kind of volume that comes complete with a glorious full-bodied bounce and those unmistakable big blow dry-style curls. The Keratin Protect Heated Barrel Brush is all you need to dial up voluminous hair with an irresistibly smooth and radiant shine. 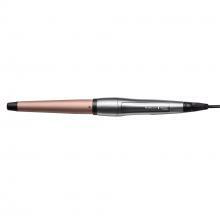 The brush itself features an advanced ceramic coated barrel, infused with Keratin and Almond Oil to help protect and give gorgeous healthy looking hair. 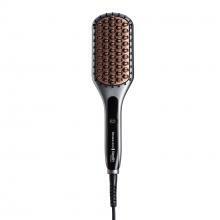 It’s this protective technology that means you can be kinder to your hair without ever compromising on style. The large 45mm mixed bristle barrel brush glides effortlessly through hair, helping you achieve fullness, body and shape. The brush has an auto shut off feature after 60 minutes for complete peace of mind, as well as an ON indicator light, a swivel cord and three year guarantee. 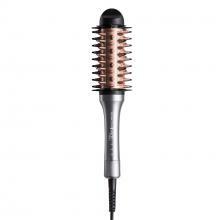 The brush gives volume right from the root, for full-bodied styles. It also features two temperature settings, either 120°C, or a maximum setting of 180°C, giving you the flexibility to adjust your styling routine to your particular hair type – and the freedom to style your way.